Reliance Communications lunch their 4G service across India and this is a revolution for Reliance communication and also a challenge for their 4G service, Reliance Jio 4G already become most popular service provider all over India and they got best response from huge customer due to their free unlimited voice and data pack, also providing free sim card for customer with preview & welcome offer for all type of 4G supported handset. 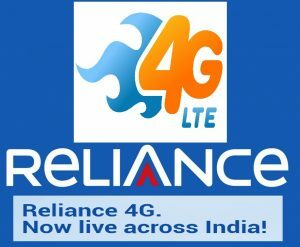 There is two type of service recently announce by reliance communication as per their announcement first service is 4G enable handset or mobile 4g LTE mobile data service and second one is WiPod. By existing smartphone customer need to upgrade their 3G, 2G and CDMA sim card to a 4G sim and this is simple and easy step for a customer. How to Upgrade you sim to 4G Sim? Collect your 4G sim card from retail outlet. Call 1299 from your old sim card and dial your new 19 digit sim number as per IVR. You have done now wait for confirmation SMS and start your service. Lets see what is WiPod? 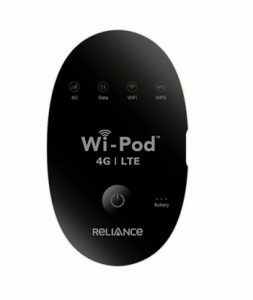 WiPod is a simple 4G LTE device that provide wifi hotpots and this device most popular in the market. Only 20 hours STD call to be done in a week and call should be more the 75 unique number. All information as per Reliance communication. we are not responsible any changes of any plan. If you like this article please leave a comment. What’s new in this. They have updated their site since long time ago. You seems bit slow.